STANFORD, Calif. /California Newswire/ — Media are invited to attend: Why selling to the poor is a win-win: An inspiring lecture presented by Whitten & Roy Partnership at Stanford Graduate School of Business. The presentation is titled "Changing behavior by selling life-changing products in the developing world." Where: Class of 1968 (building), C106 (room), Stanford Graduate School of Business, 655 Knight Way, Stanford, CA 94305, United States. When: Tuesday, February 23, 2016, at 10 a.m. Speakers: Scott A. Roy, (Director, Whitten & Roy Partnership). Following last year's successful lecture Scott Roy, founder of international sales consultancy Whitten & Roy Partnership, returns to Stanford Graduate School of Business on Tuesday, February 23, 2016 to give a class presentation about the role of selling in social enterprise. Interested journalists are welcome to attend the 10 – 11:45 a.m. lecture. There is also the opportunity for a one-to-one interview session with Scott Roy of Whitten & Roy Partnership after the lecture. As partner to leading global social enterprises operating in the developing world, Scott Roy will address key sales challenges from their decades of work, covering issues such as: How sales expertise can help social organizations fulfill their (often life-saving) missions; and how to help social enterprises become more successful by clarifying the respective roles of marketing and selling. email: newsdesk@wrpartnership.com/ tel: +44 (0)7940 510 008.
email: davide@wrpartnership.com/ tel: +33 6 64 17 27 77.
email: jessica@wrpartnership.com / tel: +1 (916) 335-1981. 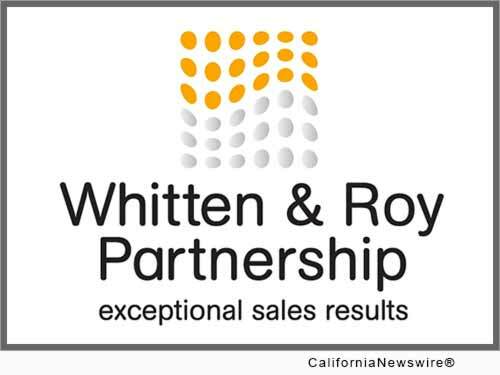 Whitten & Roy Partnership is an international sales consultancy that helps leading businesses and organizations transform their sales results. Founded in 2009 by sales experts Roy Whitten and Scott Roy as a boutique business, Whitten & Roy Partnership today comprises a network of consultants operating in 34 countries around the world. Drawing on several decades of sales experience in both the for-profit and not-for-profit sectors, and with a background in psychology and business development, Whitten & Roy Partnership focus their operations equally on two elements: transforming the experience of selling in the commercial sector; and teaching thoughtful sales development for social enterprises in the developing world to help eradicate poverty. In 2012, Whitten & Roy Partnership opened its own WRP Training Academy. For more information visit: http://www.wrpartnership.com/ .